The Back & Body Clinic Providers Nick Parton, D.C.
Nick Parton, DC, of The Back & Body Clinic in Lewisville, Texas, is committed to serving his patients with compassion and integrity. Dr. Parton studied Kinesiology at The University of North Texas in Denton before continuing his education by earning his Doctorate of Chiropractic degree from Parker University in Dallas, Texas. 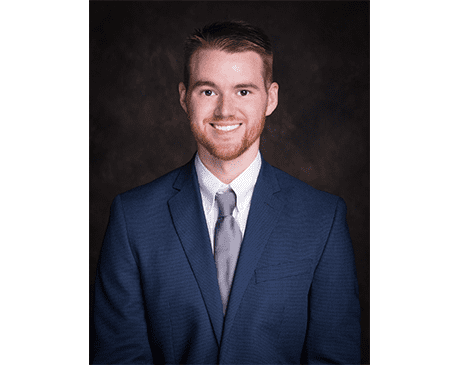 While in chiropractic school, Dr. Parton was chosen as one of only a select few to undergo the Parker University Practice Based Internship program. During this program, Dr. Parton was able to serve as a treating doctor at one of the most prestigious chiropractic clinics in DFW where he received advanced training in sports injury, personal injury, and family wellness care. Upon graduation, Dr. Parton was eager to get to work, and quickly gained experience with patients of all ages. Dr. Parton has seen firsthand the life-changing effects of proper chiropractic care and he’s eager to share his knowledge, skill and passion with others. In his time outside of the office, Dr. Parton likes to spend time with his wife, Jalen. He enjoys playing pickup basketball and football games, rock climbing, and is a member of a bowling league. When they get the opportunity, Dr. Parton and his wife love traveling “home” to northeast Texas to spend time with their families.